Any avid reader of our blog has likely noticed that we’ve dedicated a couple of our recent posts to the topic of discounted sales. That’s because, in conversations with industry-leading food businesses, any discussion on strategies to maximize the value recovered from distressed and unsold inventory includes discounted sales. Selling distressed product into the secondary market can be challenging. And one thing that’s certain is that a discounted sales strategy is not a one-size-fits-all approach appropriate for all food manufacturers and operators of food distribution centers. 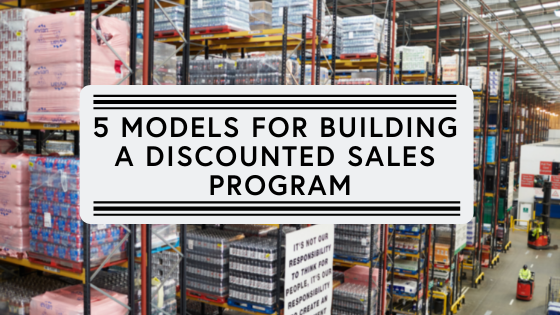 In this post, we highlight five different models for building a discounted sales program and share some observations on which businesses, food types, and product circumstances are best suited for each. Putting the responsibility of finding outlets for short-dated, surplus, or distressed inventory on existing merchandising or sales staff is the most common model we see for coordinating and carrying out discounted sales transactions. This model seems to work well when operators do not have enough consistent, distressed product to warrant hiring a dedicated discounted sales staff member or team. Using existing staff presents opportunities to increase purchasing accountability and incentivizes sales reps to identify creative alternatives for product. By putting the onus of selling distressed product on the same merchandiser responsible for buying it, a natural incentive is created to better manage purchasing volumes and remedy situations that cause overages. We’ve witnessed companies go so far as to align merchandisers’ performance incentives to the surplus volumes that stem from buying decisions. A potential drawback of the model is the opportunity cost - i.e. time and effort - of selling discounted product over primary responsibilities, such as growing one’s customer base, expanding existing accounts, and ensuring the right products are available and ready. In addition, if a sales rep hasn’t built out a supplemental discount buyer network, they may end up targeting primary customers with discounted offers (especially on the short-dated or highly perishable product), which can have longer-term implications on customers’ expectations around pricing/discounts and quality. The actual process of completing a discounted sale for a single product can require a lot of back-and-forth communication with potential buyers via email and/or phone, which often scales proportionately with the number of products in a portfolio. For this reason, some suppliers and retailers determine a full-time resource is warranted. Often, there is a correlation between time invested in these efforts and the number of buyers you can get product in front of, and ultimately, the value you can recapture for said product. 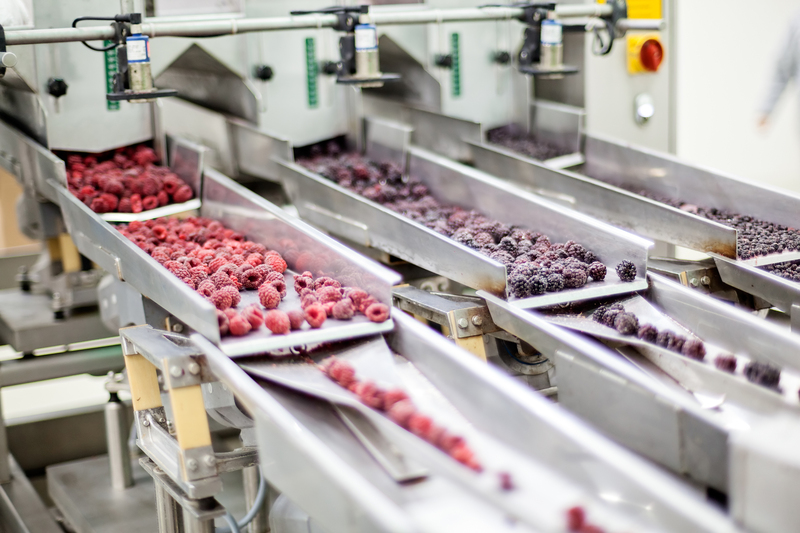 We’ve seen this model work best for food manufacturers that produce a limited SKU-count and therefore have a consistent surplus product mix, making it manageable for one person to coordinate discount buyer relationships. Dedicating a single employee to carry out discounted sales can work well for manufacturers that produce a single food product, such as juice. Image from Shutterstock. 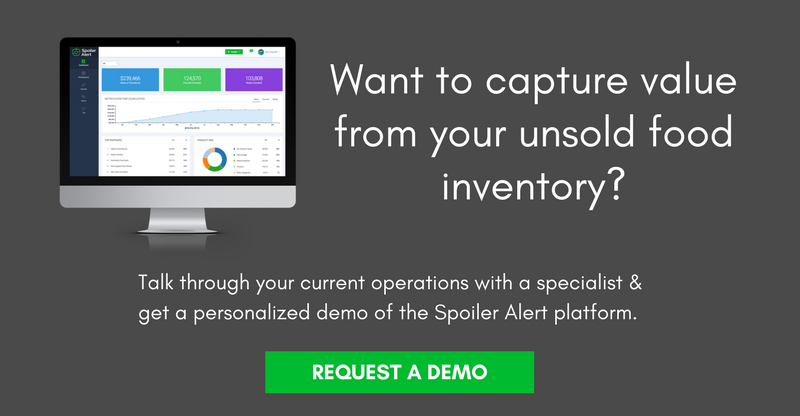 Regardless of revenue or inventory levels, companies that utilize a centralized inventory system whereby one person can access information from across all divisions will be well positioned to utilize this model. 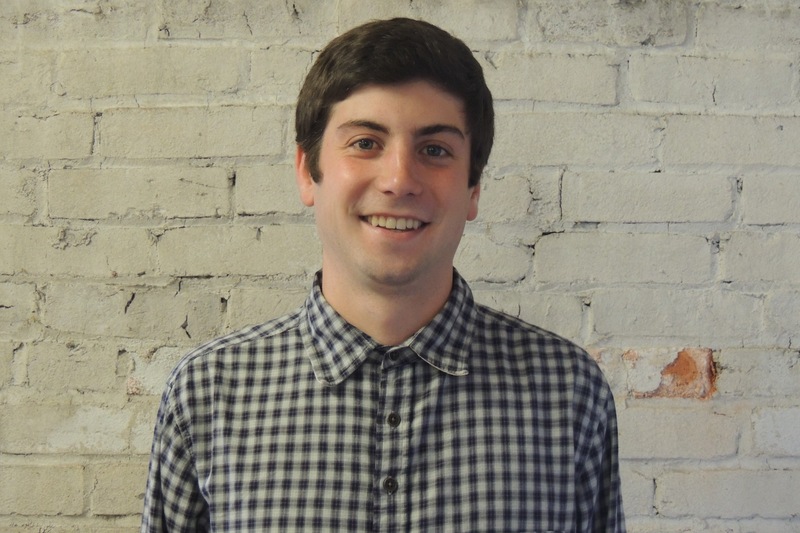 This individual should be incentivized to develop relationships outside their primary sales channels, manage brand (or private label) restrictions, protect against certain geographic or customer limitations, and work closely with merchandising and sales teams to give themself the most timely and accurate picture of inventory volumes that need to move. For companies with a large number of SKUs, divisions, and product categories, asking a single employee to manage an entire portfolio of distressed inventory may pose a significant challenge. At large food manufacturers that produce retail and foodservice grade product across geographically-dispersed locations, we’ve seen that employing a dedicated discounted sales team, comprised of secondary market specialists and consultants, can be the most appropriate model to pursue — particularly when product volumes are relatively consistent throughout the year. 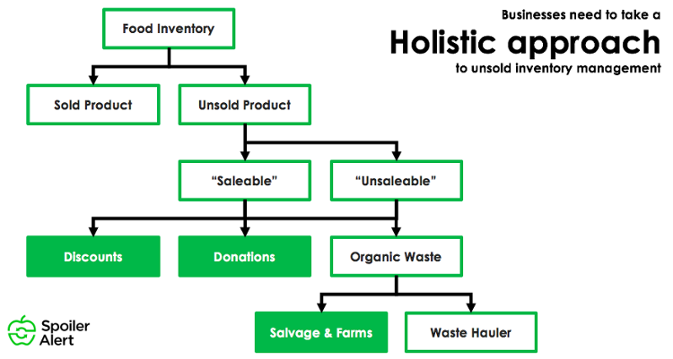 For manufacturers that partner with food distribution businesses to move product, this model seems to be especially attractive. A recent report from the International Foodservice Distribution Association (IFDA) found that food distribution businesses generate $1,200 per square foot of warehouse space. When that space is occupied by a supply chain partner’s distressed inventory, it not only puts strain on the business relationship but also prevents the distributor from receiving inventory that will generate more profits. For this reason, investing in a dedicated team to move distressed inventory quickly can be warranted. 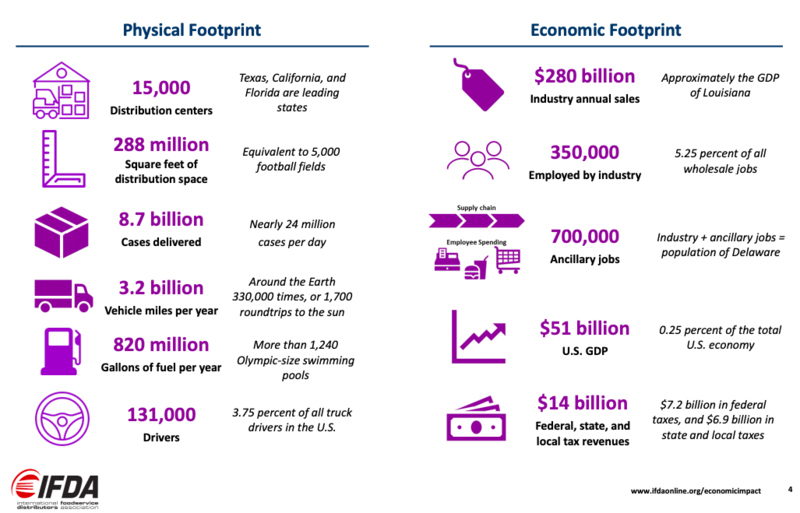 The recent IFDA report provides analysis on the economic impact of the foodservice distribution industry. To be successful, that team will need leadership, a direct or indirect tie-in with the sales and merchandising function, and a desire to implement and enforce standard operating procedures that are carried out consistently across facilities. Because secondary markets are often volatile and impacted by macroeconomic factors, initiatives such as portfolio benchmarking, peer analysis, and outlet diversification should always be top of mind. This is particularly relevant given the rapid changes occurring in the retail and foodservice industries, such as omnichannel retailing. If expertise or bandwidth doesn’t exist in-house, many companies instead look to third parties for help. Partnering with a food broker or brokerage firm provides the opportunity to take discounted sales off of a company’s hands and often enables them to access larger contact lists and stronger industry relationships. Additionally, if communicated effectively, brokers have the ability to respond to brand guidelines or secondary market restrictions and develop a more curated, targeted list of outlets. Companies may want to work with brokers for the mere sake of being able to concentrate on growing their business through other means. Spinning up secondary markets requires resources (from recruiting to training to continuous monitoring), which adds up and can put a damper on productivity. The tradeoff, of course, becomes that companies need to accept that they will be giving up a percentage of sales to the broker, and depending on contracting terms, may not have price transparency or visibility into what their product is selling for and/or where it is ending up. These are key differentiators between good brokers and great ones. The final model to highlight (which is far more apparent in the industry than one might expect) is either 1) not developing a strategy or 2) not dedicating meaningful resources to discounted sales efforts. In some cases, there is good reason for this, and it’s a very intentional and strategic decision. This could be because of low volumes, brand sensitivities, product types that warrant expiration dates less critical (e.g. frozen goods), or a company simply prioritizing other more urgent initiatives and determining it's not worth anyone's time. In our experience, “brand sensitivities” are indicative of either overly protective legal counsels, dated executive orders and historical precedent, and/or lack of awareness of the latest regulations, protections, and innovations that have been developed in the donation and discount sectors. Regardless, we still suggest trying to partner with a local food bank to route all recoverable volumes for feeding people. The level of hands-on, back-and-forth communication necessary to effectively sell product on the secondary market makes the process ripe for innovation and the introduction of technology that supports these efforts and reduces the amount of time it takes to solicit a higher price point. For companies hindered by operational inefficiencies or resource constraints, technology can be a great way to drastically improve the economics of selling product in secondary markets.